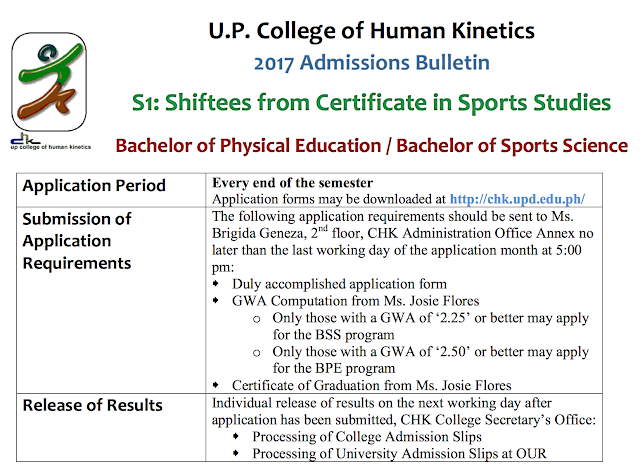 2017 Application to shift to BPE or BSS is on-going! 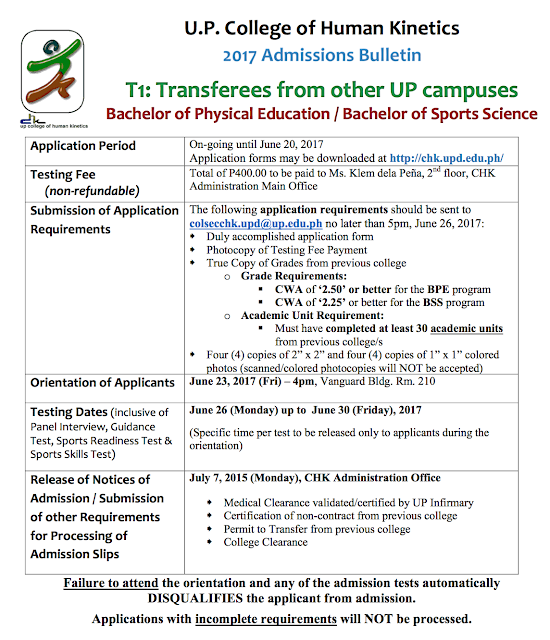 Are you a current CSS student or a UPD student from other degree program who want to shift to either the Bachelor of Physical Education or Bachelor of Sports Science program? Application to shift is on-going!